This 3D printer, weighing 25,000 lbs. and standing 14' tall, is making an engine part inside its closed doors. A new report says the global 3D printing market will hit $32.3 billion by 2025, an increase of $25 billion. It's easy to see why with the most complicated machines costing as much as $2 million and printing parts for jet engines. One such machine is now being sold in Blue Ash and will soon be manufactured there. BeAM Machines, Inc. opened its U.S. subsidiary on Creek Road. 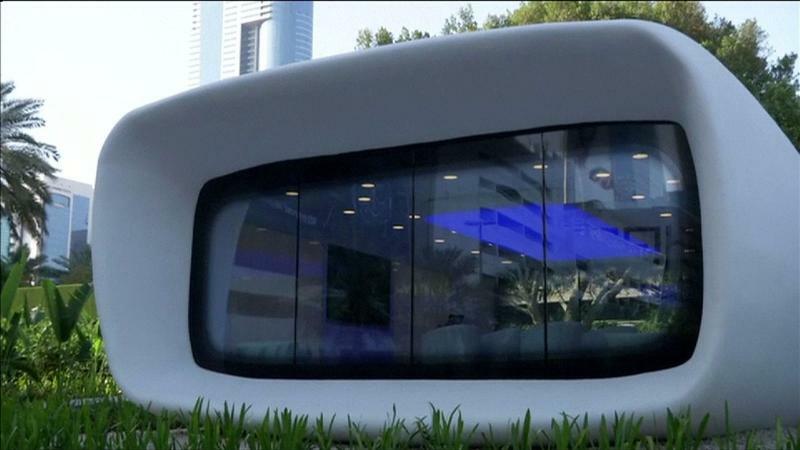 It showed off its signature 3D printer, The Magic 2.0, at a September open house. 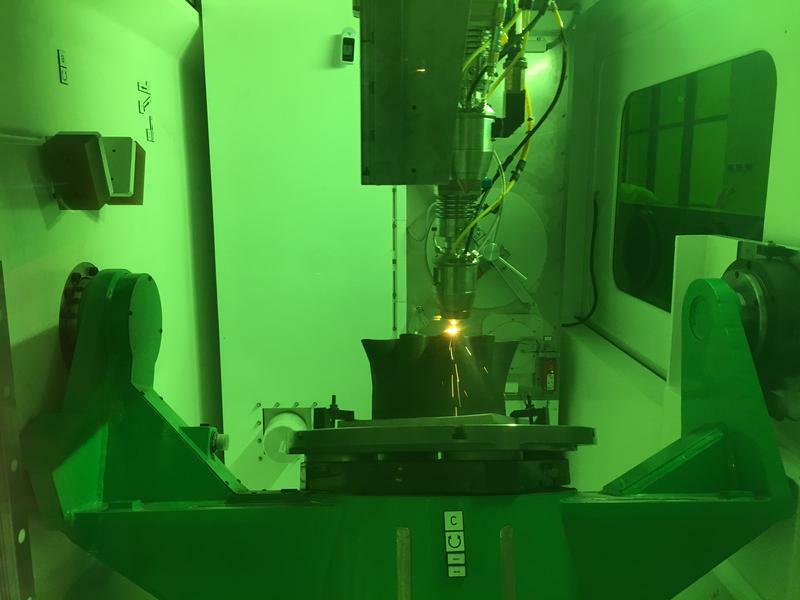 The 3D printer built an exhaust nozzle for a gas turbine engine in 11.5 hours. If done the traditional way, it would have taken four and a half weeks to build. The 3D printer built this exhaust nozzle for a gas turbine engine in less than a day. Built the traditional way, it would take 4.5 weeks. General Manager Tim Bell, a self-described machine tool geek, explains how the process works. "We take basically a laser beam... when the powder hits the laser beam it creates a liquid and becomes a melt pool like if you were welding. But then we use this machine tool to accurately lay down that melt pool in a preconfigured geometry to produce actual components." He and others expect the technology to take off in the next five years. GE Aviation has been printing engine parts for years. 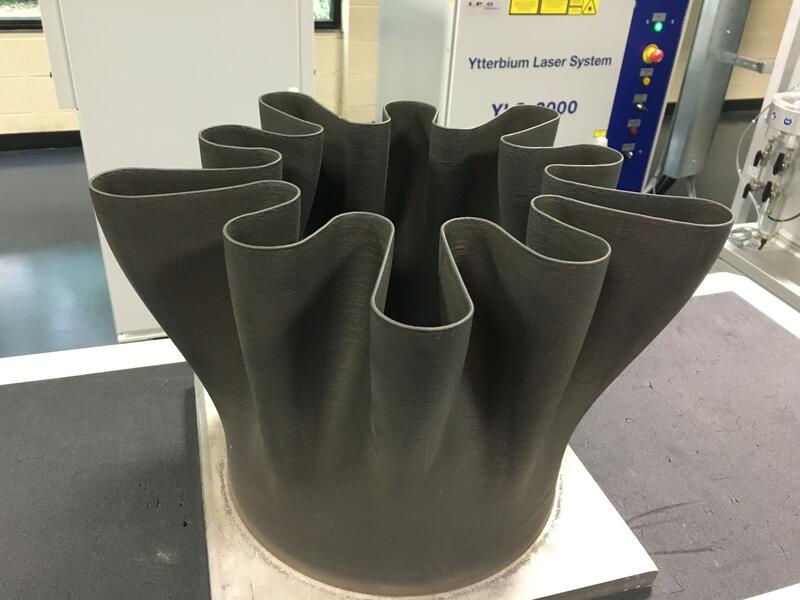 GE is not a BeAM customer but is part of a new collaboration aimed at boosting Greater Cincinnati's prominence in the additive manufacturing industry. 3D printing is expected to revolutionize global manufacturing in the 21st century. A first-of-its-kind additive technology business symposium is scheduled for Oct. 5 at GE Additive in West Chester. The sky is not the limit for The Magic 2.0 and its smaller versions. 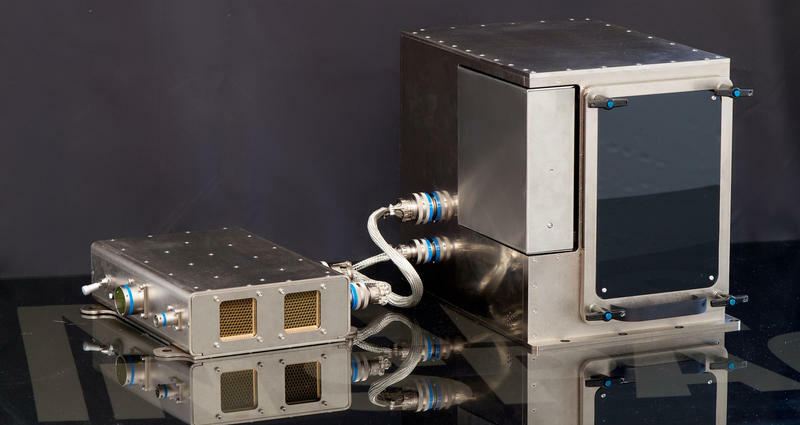 "Our small machine like this could operate in space and build parts there from materials that they have at hand," Bells says.